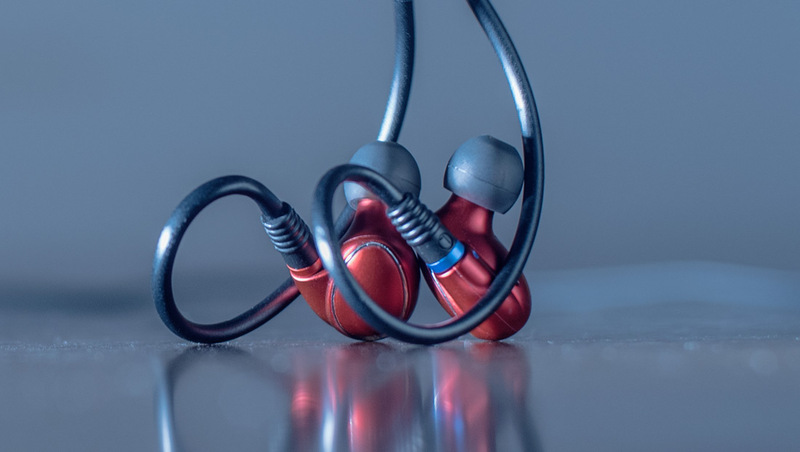 FiiO FH1 are dual, hybrid In-Ear-Monitors combining a dynamic 10mm titanium driver taking care of low frequencies and a Knowles balanced armature driver producing mids and highs. This “marriage” promises a good harmony between the technologies with the idea of benefiting from the best of both worlds. 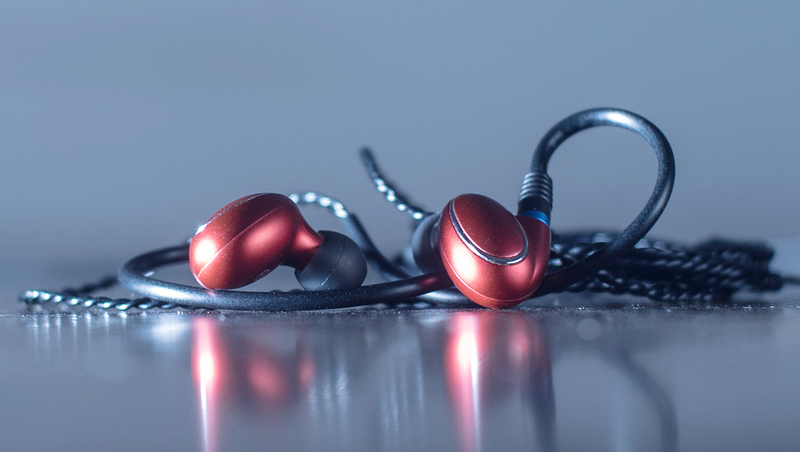 Earphones with dynamic drivers are mainly known and often used for their ability to provide quite a warmer, relaxed, some might even say more musical sound signature with a full bodied, strong bass. But they might lack a resolution and are softer sounding, slower in response with for some not enough of clarity. 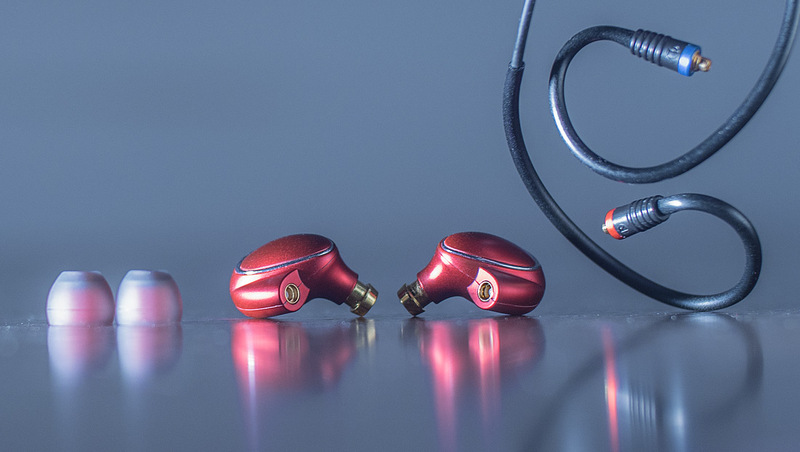 On the other hand balanced armature drivers are mostly used in more expensive audiophile grade earphones due their higher resolution ability, they are faster and precise in their response, instruments separation and staging but for some people they might sound too clinical, boring and cold. So, as you can see the technology theory behind already speaks about FH1 with a prediction of their possible personality. 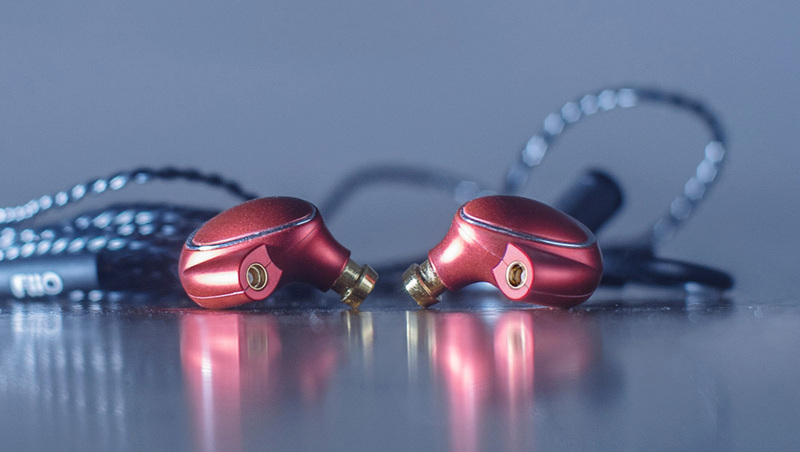 FiiO FH1 features 10 mm titanium diaphragm driver and Knowles 335 balanced armature driver which is placed in the brass sound tube avoiding resonance and to be as close as possible to the ear. Standard MMCX connectors allow easily a swap between balanced and single-ended unbalanced cables. The build quality of FH1 feels very solid and even that the shells are made of plastic ( the sound tube/nozzle is from a brass and together with connectors is gold plated) the overall look and feel is quite premium. 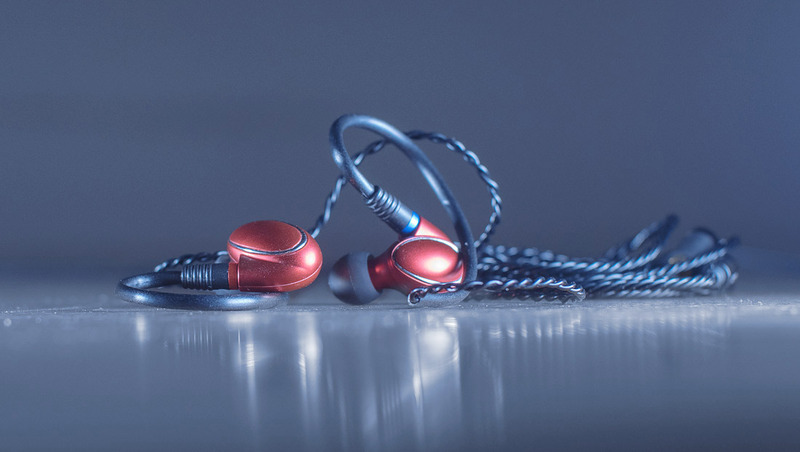 When you hold FH1 in your hands you have to appreciate FiiO’s sense for a simplicity and details as these feel almost as jewelry but without exaggerating anything in their design language too much. The design is super clean, the paint seems metallic and has a smooth coating. Even the silver lining feels like a good design touch and surprisingly does not conflict the gold parts to my eyes. Overall the look and build doesn’t feel too much shiny or cheap in any way to me. The plastic build gives FH1 the advantage of a super lightness (21g) which positively effects the comfort. 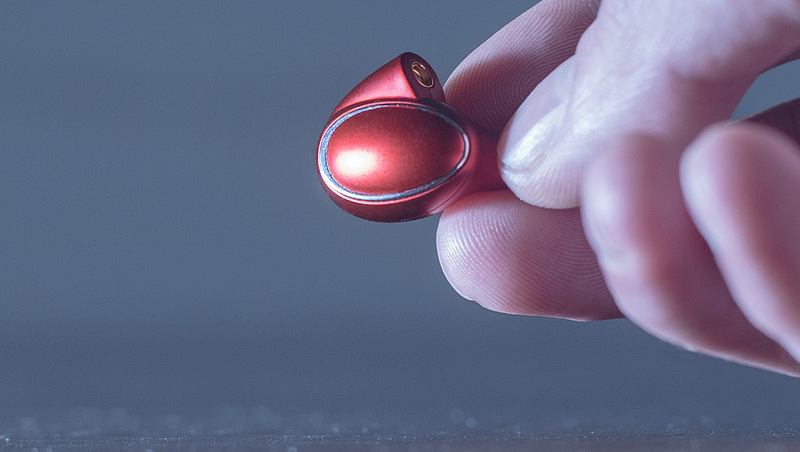 They are small, super light, with great ergonomics and I found them comfortable even for long listening sessions. Honestly, you just don’t feel them at all just the silicone ear tips in your ear canal can call your attention after some time of listening. The sound isolation is very good even that FH1 are vented. The cables provided are of a good length and with solid quality feel. 1.2m length was plenty enough to me to freely move in any situation and I believe most people will find it as a perfect length as well. The balanced cable is twisted and very soft with almost textile, cloth feeling on touch. The remote with a mic placed on a single ended cable is made of metal and the clicks feels very solid and precise, no complains there. The standard MMCX plugs have a sturdy feeling with enough of easiness and also confidence when locking them to the connectors. The connecting parts don’t feel soft and seem will last. The cables rotate in the shell’s connectors when attached so it’s easy to put them in the right angle when plugging them into your ears. I found the over ear cable design comfortable and easy to get use to quite quickly. After already two, three times of a try I didn’t have any problem with it. The quite pronounced color marks off the right and left channel are very welcome and I believe clear to everyone to find out which one is right and which left. The permanently attached cable locking management is good and from very soft plastic. The FH1 come with 2 different silicon ear tips (3 and 3 pair sizes) one set of them enhances the already pronounced low-end even more and the other one I found reduces slightly the highs. Besides the ear tips you will get two cables. Single ended unbalanced with a mic and remote control with standard 3,5 mm jack and a balanced twisted cable with 2.5mm jack. Both jacks are right angled. You will also find as a part of provided accessories a solid quality water proof case with quite a unique design on top which is a nice touch. I found FiiO FH1 super light and comfortable even for long time listening sessions. You just don’t feel them at all. FiiO Fh1 weight only 21g due it’s mostly plastic but very sturdy build. After 15 hours of a “brake in” I started listening to one of my favorite reference tracks – particularly I started with Yao Si Ting’s cover “Speak Softly Love” and the first sound impression I got was a very pleasing rich roomy sound, with a good soundstage and clear directional imaging. The soundstage is not super extra wide but wide enough with slight push emphasis to the sides, giving you the exact feel of the “side walls” of the room you are in. The width is also in a very good balance with the depth which is quite good. The overall sound signature is more on the warm side with a dominance of a bass reproduction. But the sound still feels clean when listening to vocals with a decent clarity and decent resolution feel, especially considering the price. The mid-range sounds clean, softly flat, neutral sounding with a slight touch of a warmth and texture on it. I found the black ear tips help to reduce the bass a bit but if you prefer use the red once instead. The highs hold slightly back to my ears though and are definitely never bright or harsh which is good news for highs sensitive people. When a bass focused part of a music track you are listening to first time kicks in the amount of bass will surprise you. The bass is thick, soft and quite heavy. The overall effect, it made on the sound impressions to me was in a way of my understanding for what kind of listener these headphones are meant. They are definitely not boring, flat sounding they want you to have fun and enjoy both worlds: Thick deep bass and also clean vocals. You feel the highs and mids are clean but not ambitious enough to go through the low-end which when it hits hard quite covers the bottom mids and blurs the sub-bass quite a bit. But the mids and highs never stop trying to get your attention back and balance the overall sound with a natural presentation. Listening to another reference track – a Vinyl rip of Toni Braxton’s Acappella version of “Un brake my Heart” proved again to me a clean, warm, natural sounding vocal reproduction these earphones deliver. I honestly were listening to this track again and again then as it gave me a desirable analogue rich sound I really liked. This is that kind of track you want to enjoy and feel its warmth, you want to hear and feel Toni’s voice with its texture and definitely not too flat or boring. This track is also critical on highs as Toni’s vocal sibilance is not so reduced on this master, that is why I include it in my reference playlist for my reviews. 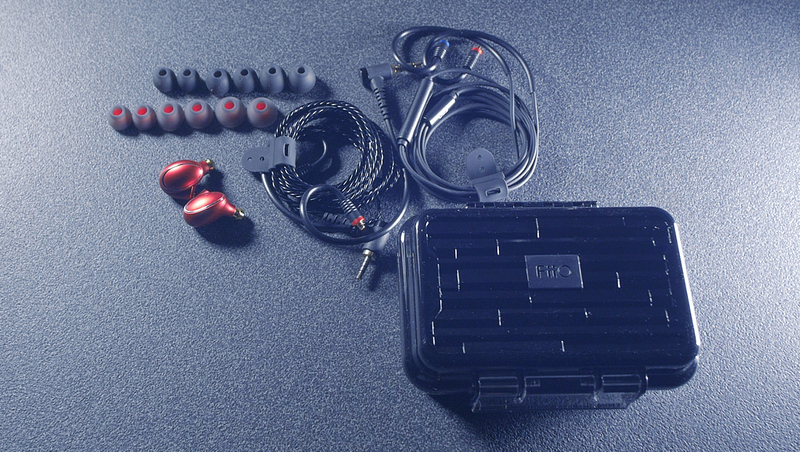 But these earphones succeeded well, producing no harshness, providing a balanced slightly warm sound of the vocal. A small tip(s): Due my experience every IEMs need a “brake in” time. I recommend at least 10 hours, keep that in mind when firstly listening to them. Also note ear tips are not just designed to fit your ear canal well and comfortably but might also change the sound a bit, depends on a material used and how they are shaped. Bigger sized tip will seal your ear canal more and provide more isolation and bass as there will be minimal leakage of the sound. Inner opening part connected with a sound tube might due it’s shape effect the highs as the lows. FH1’s over ear design feels secure and comfortable. I got use to it very quickly. The cables are soft and light they never bothered me behind my ears. 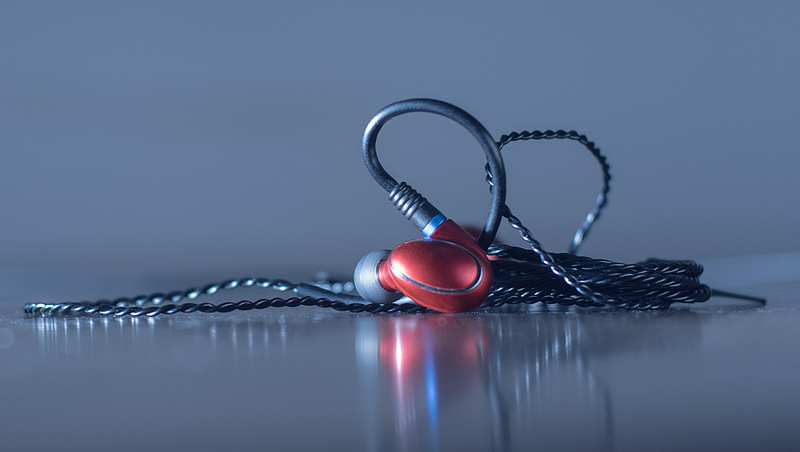 FH1 come with single ended unbalanced cable with mic and remote, twisted balanced cable, 6 ear tips (3pair + 3pairs) and also with solid quality waterproof case. FH1 are in my opinion a very good product which is meant for people who like rich sound with very pronounced bass but still with clean natural reproduction of vocals. These are not flat, reference sounding earphones and they are not meant to be. What you are getting here is overall a great package and really good value for your money. 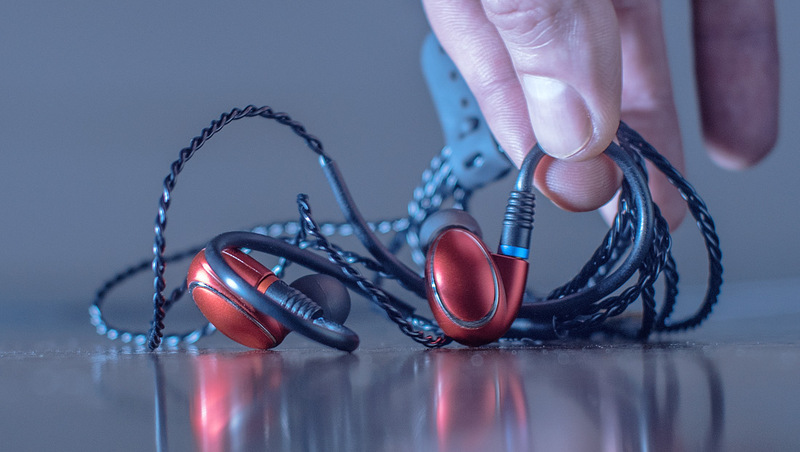 You will appreciate solid nice build quality with a clean design and great ergonomics, good accessories, and sound which is rich, fun, with a decent sense for detail and clarity. Thinking about FiiO as about a brand you can feel even from a first moment when opening the box the attention to refinement, some details and somehow I got even that feel of a care for the customer from long term perspective reflecting in the quality of materials, accessories and quality of the product itself. It is nice and rare to see especially in this price range of this product.